“Apple Watch’s retail presence is expanding fast..."
Global smartwatch shipments grew an impressive 510 percent annually to hit a record 6.1 million units in the third quarter of 2015, in a market heavily dominated by Apple. Latest research from Strategy Analytics reports that in first place with a commanding 74 percent marketshare, the Apple Watch continues to catalyse demand and set the pace in the smartwatch industry. In rising by over one million units in Q3 2014, analyst Neil Mawston claims global smartwatch growth is being driven by consumer demand across North America, Western Europe and Asia for the much-hyped Apple Watch model. “We estimate Apple Watch shipped 4.5 million units and captured a dominant 74 percent smartwatch marketshare worldwide in Q3 2015,” Mawston adds. However, Mawston says Apple Watch is still not widely available at most mobile operators, and this is one area of weakness that Apple must improve to maintain its shipment growth in the future. 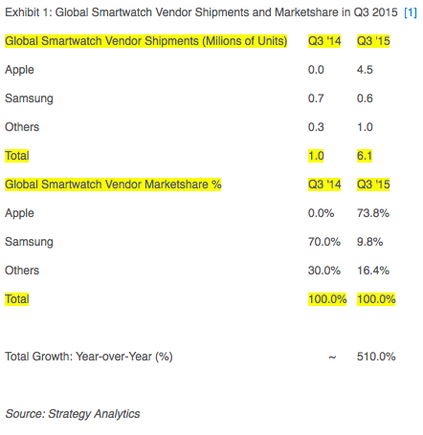 According to findings, Apple and Samsung together account for eight in 10 of all smartwatches shipped globally. “We estimate Samsung shipped 0.6 million smartwatches, capturing 10 percent marketshare worldwide for second position,” Mawston adds. At present, Mawston says Samsung remains a “distant second” to Apple, but its new range of Gear S2 models is being promoted heavily and could enable Samsung to bounce back with stronger marketshare during the upcoming Q4 2015 holiday season. “Samsung’s Gear S2 smartwatch is finally rolling out across the US and worldwide this month,” he adds. 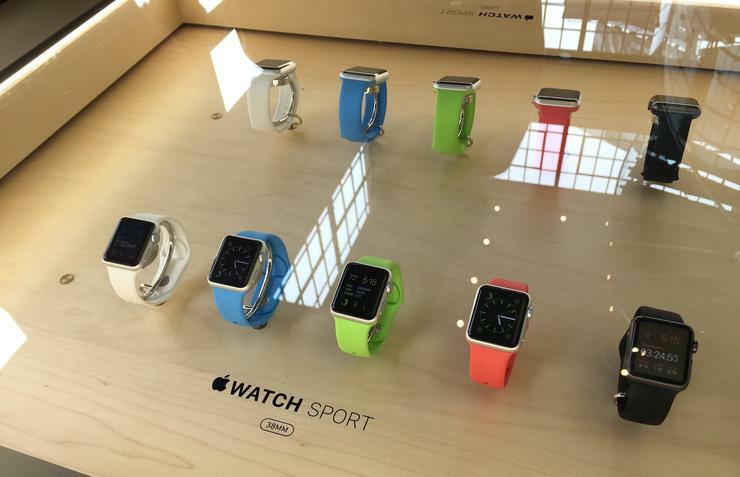 “Samsung wants to take the fight right back to Apple Watch. The S2 is among the most noteworthy smartwatch developments so far this year.